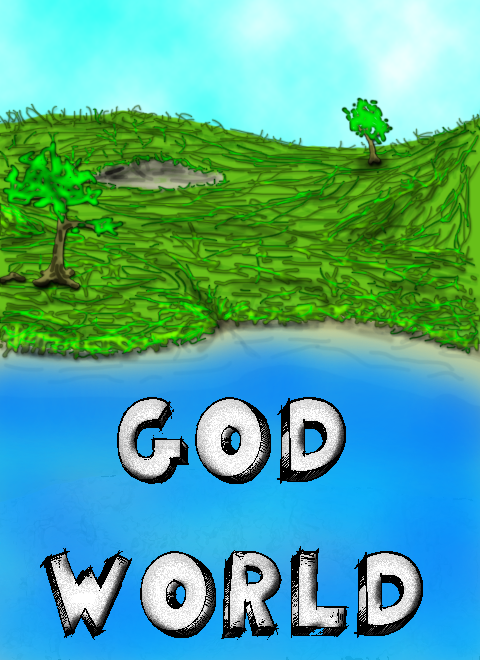 God world revised is a god game. Not just your basic god game. Each "Person" in the game world learn's and decide's what to do depending on what they know. As a god your job is to teach your people to destroy the other god's follower's or to convert them. Forge your people to be good or evil. Just to clarify, we're not dead ! Over the last month of no indiedb updates you might of thought we are no longer active but that's wrong, we are. We have been working and now have a solid game engine ready to add all models, particles and to release the demo. Our programmer Kino has been programming a lot and our modelers have been modelling a lot to this game as stable and fun as possible or the demo, we have created one of the most intelligent zombie AI's that we think there is out there; the zombies have all 5 senses that's if they have all there limbs, this includes smell, hearing, sight, touch ect which makes it that much more realistic for the player and also the path-finding that the zombies uses creates the best paths for the zombies to get to you quicker in their hoards to eat you and your team alive ! There are also many other features but you will have to wait until the demo. The trailer is coming soon and will showcase some brilliant shaders and models used in game and give you a brief look on the world you will be living and surviving in. The expected release date of the trailer is the end of September. And finally some news regarding sector7games, there is no more sector7games. We believe that the name wasn't catchy and didn't suite the industry so we changed it to Kampeki Software (C), we believe a name means everything and will make us sound even more professional. What's happening with DEAD INSIDE and the problems we face. Update for community: Forum up! Our forum is up for all our fans! Check it out on our website and become a forum member. Chance for us to go to E3... it's up to you! If there is any update about that game? I do have A question about the game. Does this incorporate Technological growth? I think it would be nice to see over the coarse of a game the group of people turn from tribes trying to master fire to a small city state with a government and military, to a large nation with near modern technology. It is not, The point of the game is about your people learning how to survive in the world. All the footage was just of a prototype, many things have been changed in the concept since those have been uploaded. Game kinda' reminds me of Black & White. Whats up with the characters? Pleas let me know about the characters, I left you a few messages on skype. We are getting so close to a playable version of #DEADINSIDE ! RT @sasGames: The gods Lur and Nor as well as the gods of Kobol seem to be on our side. We. Will. Make. It.